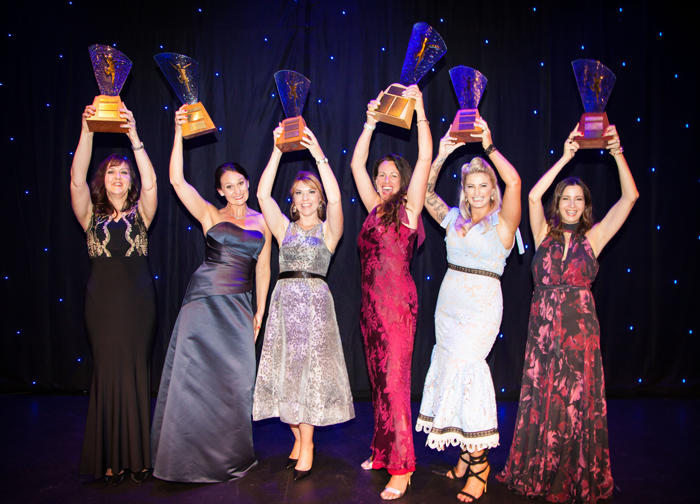 The Awards are held annually to recognise the women behind the business on the Sunshine Coast. In 2018 the Awards are in their 20th year and the Awards Evening is noted for its professionalism and recognised as one of the most respected Award events on the Sunshine Coast. Many of the past winners have gone on to become finalists of, and even as far as to win the State and National Telstra Business Awards. Being nominated in the Sunshine Coast Business Women’s Network Business Woman’s Awards is about more than the business you are in. It is about all of who you are. It is about how you find balance in life, about how you contribute to the community and about what you put in to your business. By nominating someone in the Business Woman’s Awards you are paying them a compliment of the highest order. Whether or not they become a Finalist or even a Category winner they will know that you respect them as a leader in our community. Entering any Awards does take time and these awards are no different. So why would you want to take time out of your busy schedule to complete your submission? There are several reasons: Whether you become a finalist or not the process of writing a submission is a chance for you to reflect on what you have achieved. It is a chance for you to put into words the positive aspects of you and your accomplishments. If you are chosen as a finalist you will receive publicity for yourself and your business or company through the Business Women’s Network. For the five finalists that go through as winners in their category and the one overall Outstanding Business Woman of the Year there is a year ahead of celebration, recognition, publicity and personal and professional growth. The Outstanding Business Woman of the Year wins a $10,000 media package compliments of 92.7Mix FM and Channel Nine.